ACME, Mich. — It's bold, sleek architecture instantly attracts your attention and curiosity, standing tall, overlooking the West Traverse Bay horizon. For a small, blue-collar summer vacation town, filled with quaint boutiques and bed and breakfasts, you would never expect a world-class, Vegas-style golf resort to lie right on the town's outskirts. The Grand Traverse's new lobby features more space and natural light and cost $1.8 million. Since the Grand Traverse Band of Chippewa and Ottawa Indians purchased the Grand Traverse Resort in 2003, they've commanded the site's most aggressive renovation in its 26-year history, spending $12 million — all to ensure their facility is still the place to stay and play in the Traverse City area. Guests will be treated to a brand new welcome as they enter the tower's lobby, which received a $1.8 million overhaul in 2004. The biggest difference is its spacious, airy feel, after the massive waterscape that took up the center was removed. It was replaced with a small lounge area and many windows were added. A welcome bar was built in the center of the far wall and a water fixture and fireplace was built on either side. Jack's Sports Bar, located down the hall from the main lobby between the tower and hotel was also completely remodeled as well and two flat screen TVs were installed (oddly enough without high definition programming at the time of visit). Guest rooms at the resort received $2 million in upgrades over the past two years, adding newer appliances, a more modern look as well as wireless Internet access. The condominiums are scheduled to complete their renovations by 2007. Between 60 and 70 percent of the resort's guests come for business and conventions, so the facilities are tailored to large groups, featuring 85,000 square feet of conference space in 34 rooms. Resort amenities also include a spa, fitness center, indoor/outdoor pool, children's center and more than a dozen shops adjacent to the tower lobby. Trillium, the resort's upscale restaurant and lounge located on the 16th and 17th floors of the tower, was remodeled and the menu was overhauled. It's reopen in 2005 was met with accolades. Wine Spectator magazine awarded Trillium with its "Award of Excellence" based on selection, quality and ability to match wine with the menu. It's one of the best places to be in northern Michigan at sunset. While accommodations and amenities have been significantly altered and improved, the three championship golf courses have been untouched. 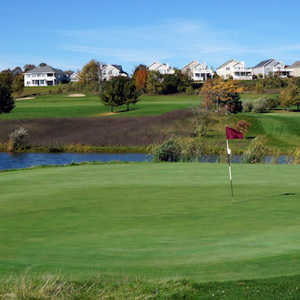 The Bear has been marketed beautifully by the resort since its opening in 1985 as the most difficult course in Michigan. Two decades later and dozens of northern Michigan resorts later, it's still one of the state's biggest draws. The Wolverine was added in 1999 as a more forgiving alternative to the Bear. While in some cases it's even more difficult to score well — the greens are far more complicated and tricky — it's less penal, featuring many open greens and wider, bowl-shaped fairways. The Wolverine will co-host the Michigan Open with The Bear this year for the first time. The expanded field has doubled in size, so participants will play each course once during the first two days of qualifying. Spruce Run, the resort's original course, has been reshaped and renovated enough times in its history for resort officials to dub it "The most disrespected course in Michigan." Once the host of the Michigan Open before the opening of The Bear, Spruce Run is a little short for today's standards, measuring just 6,304 yards, but serves as a good warm-up to the Bear and Wolverine. Turtle Creek Casino, also owned by Grand Traverse Band of Ottawa and Chippewa Indians, isn't on property, but is located about three miles from the resort and shuttles gamers back and forth from the resort all night. Rates at Grand Traverse aren't cheap, especially in the high season. Tower rooms start at $275 a night weekday, while hotel rooms provide slight relief at $235. One-, two- and three-bedroom condos are available for $295-$455 per night. 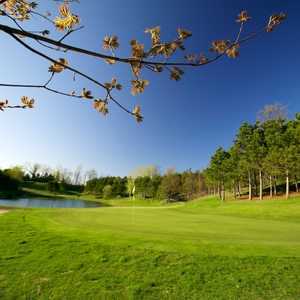 If you plan on playing most of your golf at the three Grand Traverse courses, packages are the way to go. Greens fees at The Bear and Wolverine are $120 for resort guests in the high season, while Spruce Run is $80.